Product code: ES1482 Categories: Sold Items, Sold Rings. This is such an attractive and stylish antique sapphire and diamond ring that will sit so well on any finger as well as making a unique and special engagement ring. Hand made in the late Victorian era of the 1890’s in 18ct yellow gold, this ring has such a nice and smooth domed top making it feel so comfortable on any finger. 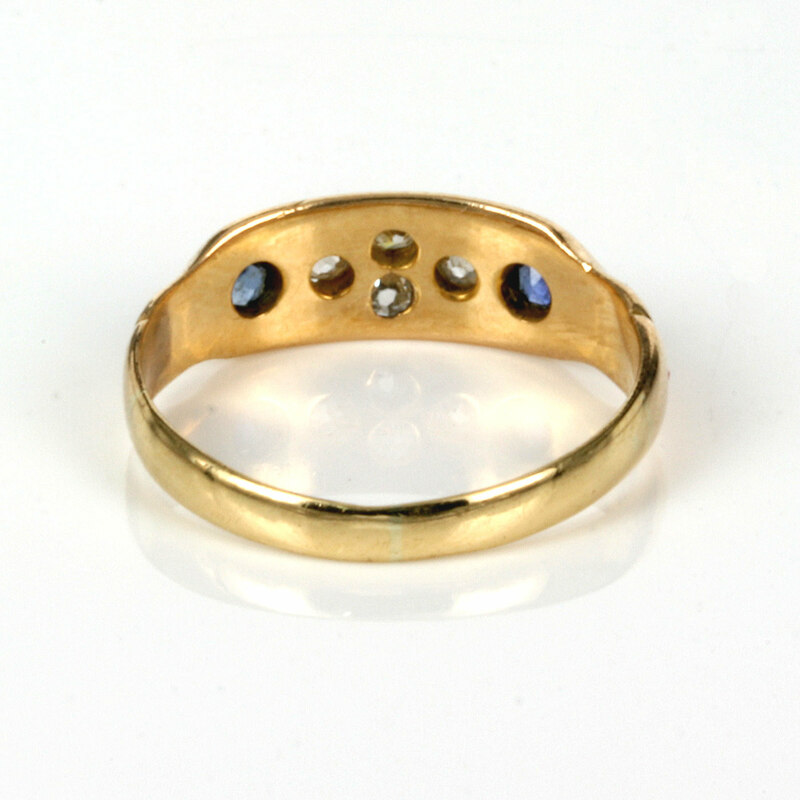 Set nice and flat into the ring are two sapphires and four diamonds, and even though this ring is well over 100 years old, it still manages to retain quite a modern sleek design to it. The sapphires total 0.16 carats and the diamonds 0.20 carats and all the stones are still in such superb condition. At the centre the ring measures 6mm wide and tapers down at the back of the ring to 2.3mm and will really look so smart and elegant on any finger. 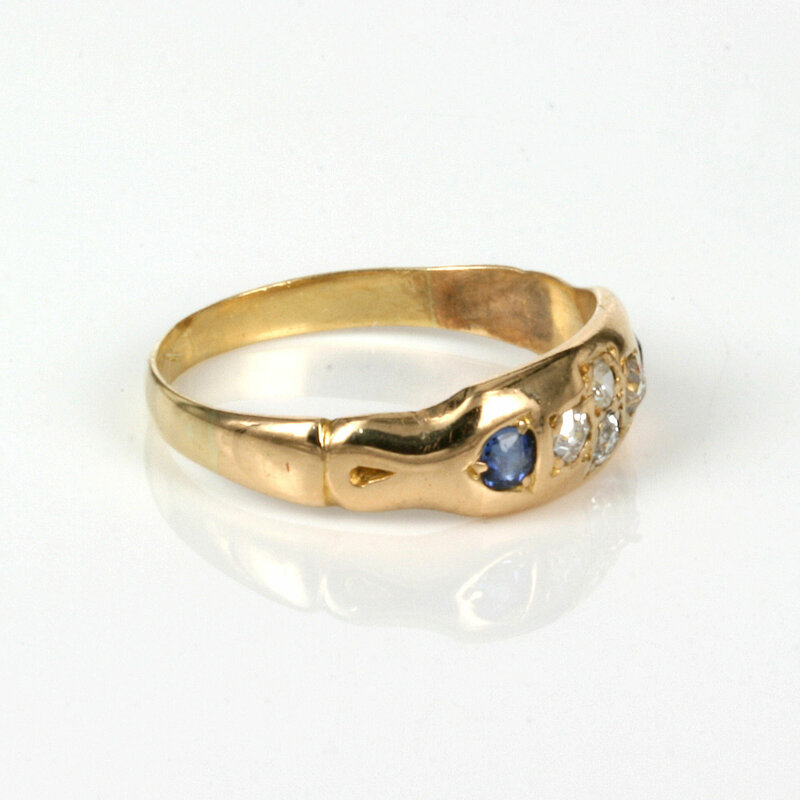 This antique sapphire and diamond ring is just delightful and is so full of charm and character.